Beautiful surroundings and one of the cleanest restaurants I have ever seen! Gracious and warm welcome on arrival by Dominick, one of the owners so we were off to a great start before we were even seated! Attentive and professional service throughout. As we really enjoy and appreciate quaint, charming and intimate dining venues this was the perfect place to dine while on our weekend away in Naples. Quite extensive menu provided us with numerous interesting and tempting appetizers & entrees. I started with the Spinach Delize which was flavorful and light as a feather consistency. Great choice and unlike anything I have experienced. My husband loved his Caprese salad which was complimented by a wonderfull basil emulsion, which set this apart from the usual balsamic. For our entrees we both truly enjoyed our selections: my Osso Bocco was fork tender and oh so full of flavor! My husband was thrilled with his sweet and hot sausage and fresh pasta prepared with an outstanding marinara sauce! A shared Tiramisu was our sweet ending to our perfect first dining experience at Caffe Dell’ Amore. We surely felt the love here in all aspects of the ways in which they run this delightful Caffe! This is now our first dining choice for sure in Naples and look forward to return ASAP! The chef/owners are meticulous about quality ingredients, beautiful presentation, outstanding service, and giving the customer a dining experience to remember. This is not your typical Italian restaurant with oversauced pasta and menu items that pander to the chain restaurant crowd. Everything from wine, appetizer, entree and dessert is exquisite. A MUST in Naples!! 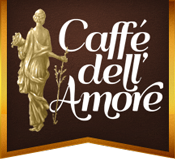 If you go to Naples and want to eat well , you can not miss caffe dell’amore , it is a little out of the tourist center , but you can’t miss it ! Fresh and divine food , ingredients from Italy ! Not a lot of foreigneirs , but amazing in everything , and ( I am vegetarian ) , they had a truffle and mushroom dish that you can’t miss it !!! Thank Goodness for Trip Advisor! They never steer us wrong on places to eat. Sometimes (like this one) we hit a gold mine! It is off season so it wasnt very busy, but OMG!! I will never ever be able to eat ‘regular’ italian food ever again. This by far was the best Italian food I have ever eaten. The staff was fantastic and the ambiance was amazing. You have got to know where you are going as from the outside it seems like nothing in a strip mall. Eat here…you wont be disappointed! FYI the last reservations they will take is 8pm.